As we await the shortlist of finalists in the 2017 NMR/RADBF Gold Cup next month, we ask the judges what they are looking for in a winner under the new ‘all inclusive’ format. The net has been thrown far wider than ever before in this year’s Gold Cup to ensure herds across the whole range of management systems can compete in this annual competition on an equal footing. Organisers, NMR and RABDF, have broadened the entry routes to include the wider range of dairy units that is now more typical in today’s UK dairy farming sector. While the traditional entry route remains, which focuses on milk production, somatic cell count and genetic merit data from official milk records, the spring calving index, that also appears on the herd’s milk records, was considered if applicable. Also, herds were nominated through regional and national discussion groups and specialised grazing groups. These herds don’t have to have official milk records, but they are expected to have recording protocols in place. “It’s a far broader and more comprehensive competition compared with the one we won in 2010,” says Gloucestershire producer and chairman of RABDF Mike King. This year Mike led the Gold Cup judging team with NMR’s Jonathan Davies, Alvis Bros’ Nick Green and Leicestershire producer and dairy consultant Gaynor Wellwood. So how did the four judges —who had expertise between them in grassland and housed/high milk production systems and in staff management and business performance—evaluate and compare the merits of each? “We used a scoring matrix with criteria we could apply to each dairy system. Each judge scored the dairy business on nine different criteria so each unit ended up with a score out of 90,” says Mike. Finalists had to have a high level of business monitoring and technical performance and demonstrate that they were achieving key performance indicators. The judges also scored forage utilisation, people management, health and safety and environmental awareness. Animal welfare factored highly on the scoring with particular focus on lameness, mastitis and fertility. And critical to the businesses moving forward was the attitude to people management and how the finalists looked to invest and empower their teams on farm. Although the final score is yet to be decided and will not be announced until the Dairytech event at Stoneleigh on February 7, 2018, the judges are convinced that the changes to this year’s Gold Cup has allowed the cream to rise to the top. “It was very evident from our visits that a sustainable dairy business returning good profits can be achieved from both grassland and housed/high production units,” adds Mr King. Mike King: Mike is a director of the family run farming business. Their Kingspool herd consists of 550 pedigree Holsteins run on a modern yet unpressurised system to achieve high performance from healthy, stress-free cows. They won the Gold Cup in 2010. Mike is chairman of RABDF. He has particular experience of housed dairy systems and forage production. Jonathan Davies: Jonathan is a director of NMR and manages the company’s national field operations. 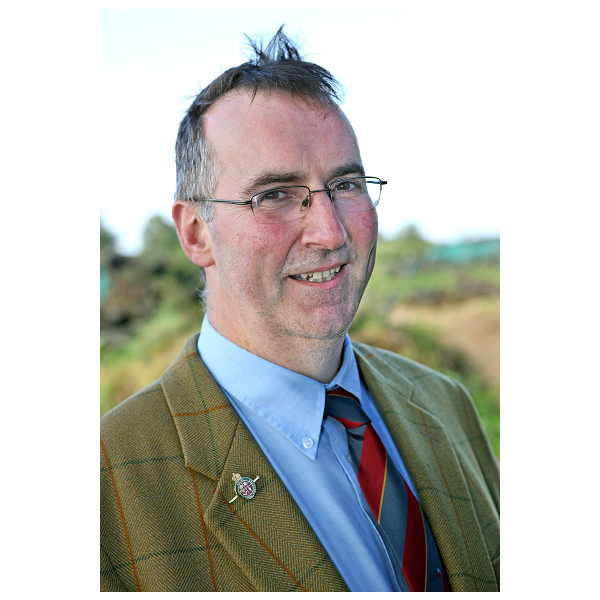 He is a chartered surveyor and fellow of the Agricultural Valuers Association and of the Royal Agricultural Societies. He is especially aware of the value of testing, recording and using data in today’s dairy herds and of the benefits of staff training and team building. Nick Green: Nick is farm operations director for Alvis Bros. He is responsible for the company’s 1,620ha farming business that includes three dairy herds–one organic and two conventional (one currently shut down due to bTB.) Nick is a Nuffield Scholar and a Fellow of the Royal Agricultural Societies and the Institute of Agricultural Management. Gaynor Wellwood: Gaynor has built a career in the dairy industry. Starting with 37 cows on tenanted farms in the south west, she and husband Kieran now run a 320-cow crossbred herd on a grass based system in Leicestershire. Gaynor has also been a consultant for Andersons. She is a director of Mole Valley Farmers and an annual councillor on the TFA executive committee. Reprinted from the October 2017 edition of British Dairying. To see the original article please visit the British Dairying website.